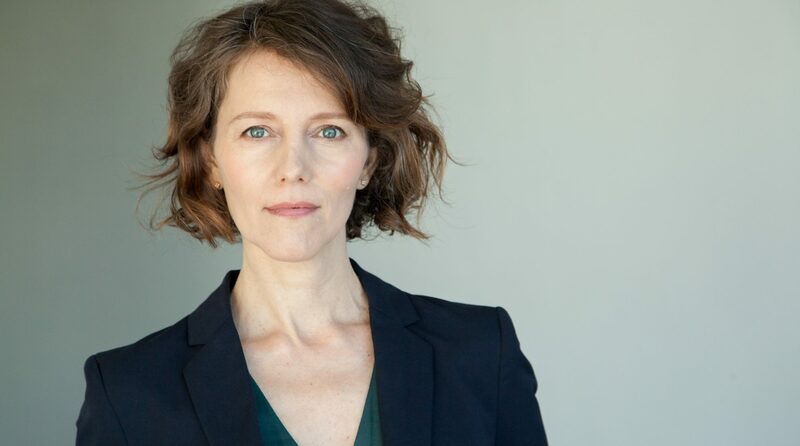 I’ve been thinking about the importance of celebrating personal life moments: not just the one’s sanctioned by conventional mores or other people’s values and preferences. For a number of years I put down my noise makers and party favors. It felt right, safe, true; I was no longer obligated to follow the gusts of others’ celebratory particulars. I felt a measure of freedom in that. A release. And between you and me, there was less to lose. But there is a beast stirring inside this dove. And the beast says life, life, life. And the beast says, NOW. Shake off worry and doubt. Shake out the burdens of projection and pain. Shake up that thinking. Completely allow new synapses to groove and mate and delight each other. Honor the crazy beauty everywhere. Do it with yourself and do it with other humans. This is cellular thing–not an ego one. Girl, celebrate. 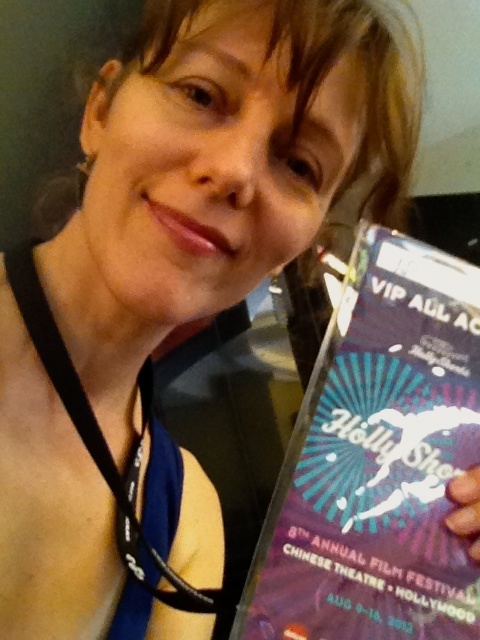 Yesterday I went to the first full day of HollyShorts programing. I was geared to stay all day (that’s what a “day pass” is for, correct? ), but I forgot how intense consecutive film viewing can be, not to mention the Hollywood and Highland complex itself–tourists, Marilyns, and the rest of it. So I did my best and was very grateful for the 8 films I did see, all rich and riveting fare. 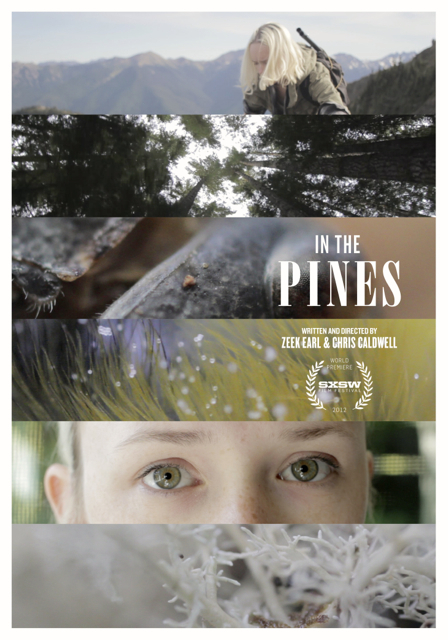 One of the films that struck me was “In the Pines” from Seattle-based production team, Zeek Earl and Chris Caldwell. 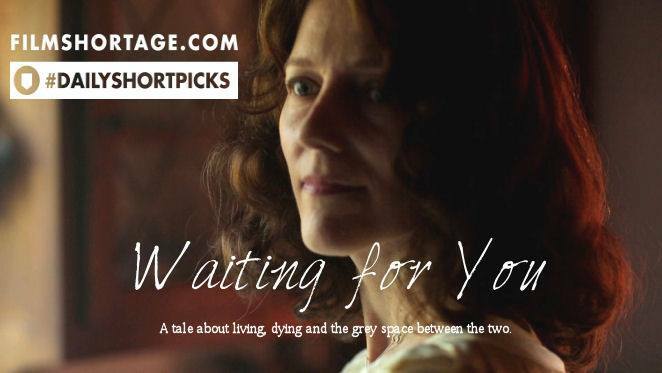 Beautifully shot and imaginatively conceived, this atmospheric film probed the psyche of a young woman (beautifully played by actress Jessica Martin) and her other worldly callings. Another moving short was “Paper Hallways” directed by Cody Stokes. This film chronicles that night following the firing of a lifelong high school janitor. The lead, Dennis Lebby of Saint Louis, Missouri, was particularly powerful and soul-stirring in his portrayal of the janitor at a turning point. Congratulations to all the filmmakers and their dedicated casts and crews. 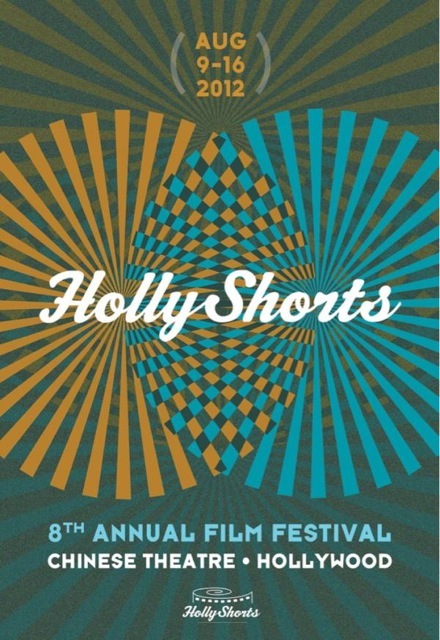 The HollyShorts Film Festival starts tonight! I’m looking forward seeing many of the films and checking out the panels. The film I’m in, No Good Deed, screens Tuesday at 4pm at the Grauman’s Chinese Theatre 6 in Hollywood. Do come on by, and if you can’t make it, below are some stills for your viewing pleasure! The Chapman family drama I worked on last year, No Good Deed, will screen at the 8th Annual HollyShorts Film Festival in August. It’s a growing and global festival that showcases shorts and their makers at that sweet little venue known as Grauman’s Chinese Theater. Stay tuned, Batfriends!